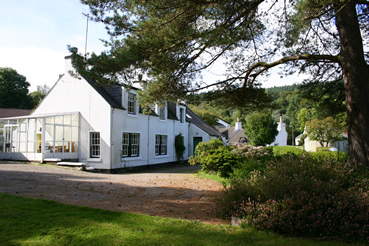 Gallanach Cottage is a great venue for get togethers as it sleeps 10 in comfortable surroundings. 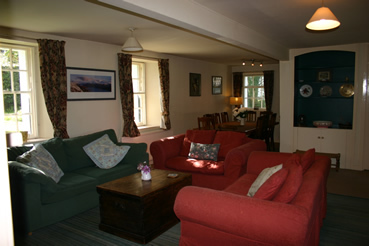 It easily accommodates two families, a group of friends for a reunion or special event. 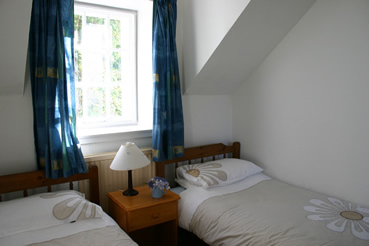 The comfortable and child orientated accommodation comprises of five bedrooms, two lounges (one with large dining table) one family bathroom, shower room, kitchen, drying room and conservatory. There is a large garden with parking spaces for up to 4 cars. This is a great room in which to relax after a day of activity. 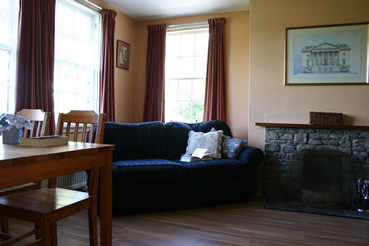 The large open fire place is surrounded by sofas and armchairs. There is a dining table seating ten in this room. After a meal the adults can collapse around the fire whilst the children head for. Definitely the room for the children in the party as this room holds all the games, sky TV and DVD player. A smaller open fire ensures that this room is as cosy as the main lounge. 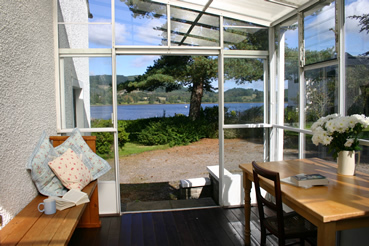 The small conservatory at the end of the house gets the sun all day long and looks over the loch - great for breakfast. Set up the bar-b-que on the step by the double doors and it will not matter if it rains or shines, or if the infamous Scottish midge drives you indoors. The boiler room is a useful room to dry off the wet clothes and boots. The washing machine is also found here. 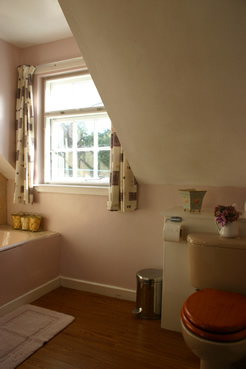 Downstairs toilet and shower room. Two sets of stair cases lead to the upper floor. One is open tread and another smaller stair at the end of the cottage. 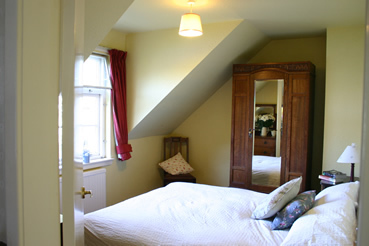 A double bed which faces a window overlooking the loch makes this room special to wake up in. 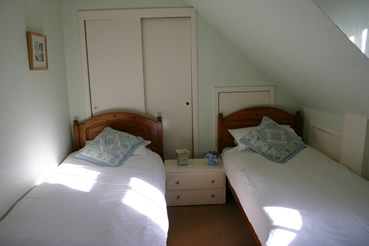 Twin beds with fitted wardrobes in the eaves behind the beds. 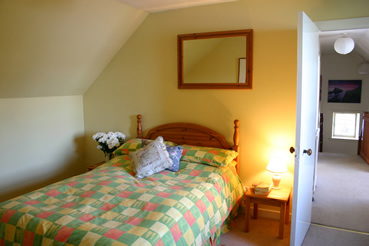 The two smaller rooms at the end of the cottage contain twin beds and small chest of drawers. 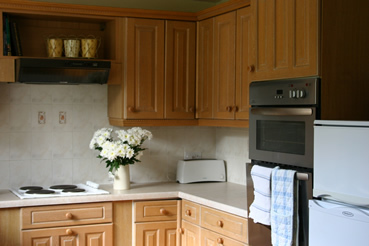 A large fitted cupboard on the rear landing provides adequate hanging space for both bedrooms. The rear stair case is fitted with a child safety gate at the top. Bath and over bath shower and toilet. A large garden is laid out to lawns and shrubs. There is plenty of room to place kayaks, canoes, boats if you have brought them with you.